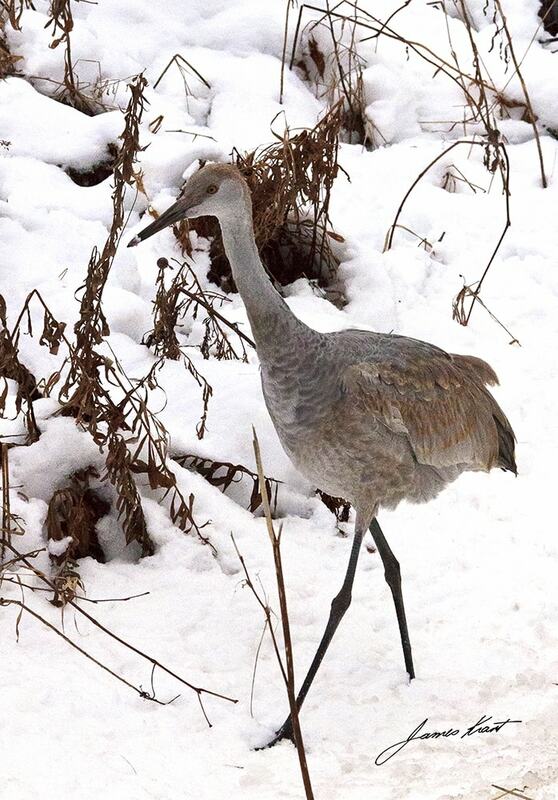 I came across the crane when I was taking the dogs for a walk several years ago. It was on the edge of a farmers field a couple miles up the road from where I live in Hillsdale. The bird was surprisingly friendly, it let me take close to a hundred images of it as it continued on its way. This image has proven to be one of the most popular images. I have had more requests for prints of this then any other image.